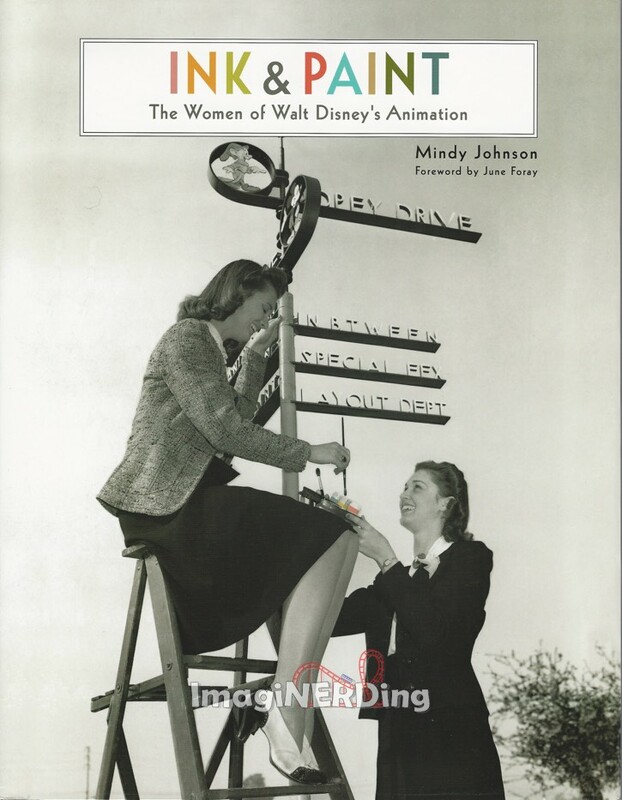 I’ve been waiting for a book like Ink & Paint: The Women of Disney’s Animation for a long time. My review copy arrived a while ago and I was thrilled to tear into it. I loved Johnson’s earlier work on Tinker Bell, so I was hoping for another great read.The book, by Mindy Johnson, finally sheds light on the unsung heroes of Disney animation, whenever they were inkers, assistant animators, story artists or music editors. At a time when women were paid less than men and had a much harder time finding work, the Walt Disney Studios employed a large number of women to keep making animated films and shorts. Johnson’s book dives deeply into the history of the studio and the women that worked there, uncovering tidbits that have never been discussed before. 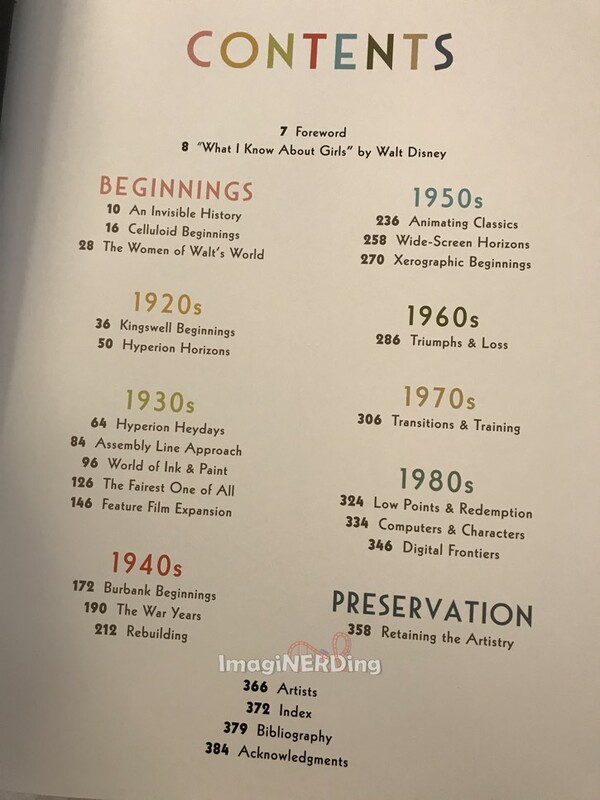 The book starts with the earliest days of animation and the contributions that women made early on in the industry, well before Disney started animating. Ink & Paint, singularly, is an important work for animation fans, Disney historians and women’s studies. The light that is shed on women in the animation industry has not been covered elsewhere. Individuals, from female department heads to inkers to background painters and more, are all discussed in earnest, through anecdotes and interviews. Johnson also looks at the secretaries, librarians and service workers that were part of the workforce. The one drawback to the book is also it’s greatest strength; the animation process is covered in tremendous detail, which tends to bog down the work in many parts. The amount of detail that Johnson uncovers and shares is astounding, especially concerning the women from the first years of the inking and painting department. This shouldn’t stop you from buying the book, just keep in mind that it can get technical. Although the male animators have always been seen as the driving force, it is quickly ascertainable that the Walt Disney Studios could not have functioned without a core workforce of women. The insight about the daily work life of the Disney Studio employee is astounding. Johnson discusses how the work processes were handled and distributed, as well as how the employees took breaks, lunches and socialized. We learn about the Tea Room, the different areas for male and female employees, and the growth of the studio lot. Ink & Paint is an incredibly insightful work on animation and the contributions of women on staff. As I mentioned, it’s very dense at times and offers a large amount of information. It is a coffee-table book with a lot of rare images from the studios, but it’s not a book you can read in just a few sittings. Ink & Paint is a must have!